Today we finish reviewing this post by Dmitry Lyskov. Where we left off, we saw that the new Bolshevik-led government, with its official Decree of Peace, hastened to fulfill a decade-old promise it had made … NOT to the German General Staff, as some anti-Communist ideologues still claim (without any facts to back up this assertion), but to the Second International, and to the world’s “conscious proletariat” represented by that organization. The Bolshevik delegations to the Congresses of the Second International, especially those meetings of 1907 and 1912, had voted for the peace resolutions and hence obligated themselves to carry them out to the best of their abilities. Which abilities had improved significantly since taking over the actual government of Russia (one of the warring parties) in October of 1917. Next Lyskov deals with still another myth perpetuated by those same Great Russian chauvinist forces, amongst whom one can count such anti-Soviet dissidents as Alexander Solzhenitsyn. It was the bug-eyed Jew-hating fanatic Solzhenitsyn who popularized to the West, not only the “Gulag” meme (which is not exactly a myth, Stalinism was a real thing, but was greatly exaggerated in his telling of it), but also the myth of Russia’s “Stolen Victory” in World War I. According to this myth: Russia was perched on the threshhold of victory against Germany. Tsar Nicholas II was prepared to fight to the bitter end. But then the Revolution happened, and prevented Russia from marching triumphantly into Berlin at the head of the Victors Parade. In which case, according to everybody’s What-If Machines, Russia would haveshared the spoils of war with the other Entente victors; Russia would have snagged herself some juicy pieces when the planet was subsequently carved up like a Christmas goose. What this theory has going for it, is the actual fact that Germany did lose the war, in the end. And was forced to pay reparations to the victors. Hence, it might actually be logical to assume that Russia could have taken her rightful share of the pirates booty. Aside from that one point, the facts do not support this theory. One should always remind oneself, that the Tsar abdicated before the Revolution broke out in Petrograd. Nicky simply quit the game, because he couldn’t deal with the disarray his policies had caused. The revolution was sparked by the collapse in transport, the lack of food coming into the cities, actual hunger. The war was lost, not at the front, but at the rear. No revolutionary agitators, however skilled their oratory, even were they born with a hundred of Cicero’s golden tongues, could not have produced such an effect. 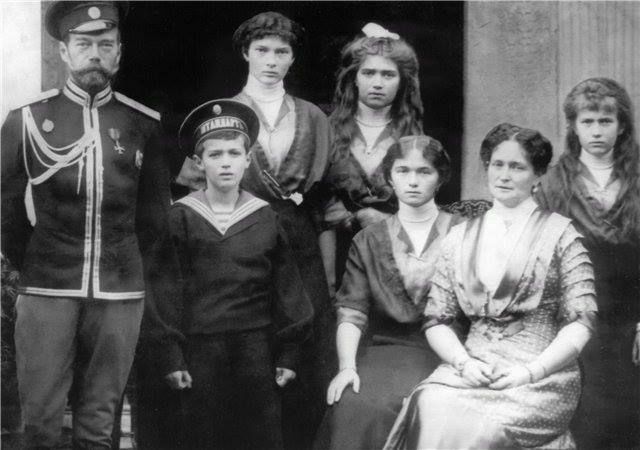 More to the point, the Tsar was forced to abdicate, not by revolutionary firebrands, but by his own General Staff. I suppose one could say that even Tsarist Russia had something like a Deep State! Another fact: Decree #1 of the Petrograd Soviet, which is often cited as a defeatist document, since it ordered the troops to disperse, was technically directed just to the Petrograd garrison, not to the Russian army as a whole. As it so happened, the decree then got passed from hand to hand over the entire front line, almost at the speed of light. The men went “yay, we can go home!” and took off for home. The officers had simply lost control over the soldiers. There was no command left. There was no military discipline. The solid flesh of the Russian army had melted, thawed, and resolved itself into a dew. Under such conditions, could Russia have possibly continued fighting the war unto the eventual victory? Lyskov answers his own question. At the start of 1918 the Bolshevik government started to build a new army for the nation: the Red Army. On the surface this would not seem like a promising project, given that the entirety of Russian manhood had just voted en masse with their feet that they didn’t want to be in the army any more. Having something valuable to fight for, understanding precisely what one is fighting for, doesmake a difference, oddly enough. Motivation is an important thing, psychologically speaking. Still, it was an amazing feat for the Bolshevik government to reunite literally millions of soldiers with their weapons and send them back out there into the fray! Only this time, not to fight against Germans, but to fight against their former masters and bosses! Woman! Learn how to read! How did the Bolsheviks do this? With threats and cajolings? Maybe that too. But primary via the hackneyed and old-fashioned tactic of education. 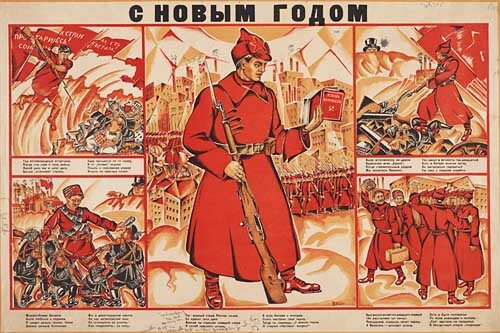 In the year 1919 alone, the Red Army newspapers reached a circulation of almost 150 million. In Soviet Russia, 68 million books and brochures were published. In 1918, the Red Army became the Well-Read Army: building 3033 libraries for the troops; by 1919 this number had increased to 7500 stationary libraries, and 2400 mobile libraries. The Army also set up around 6000 “Literacy Schools” for the troops, along with theaters and other forms of education and entertainment. The written word was, of course, supplemented by the speeches of the professional orators who accompanied the army and engaged the soldiers in political agitation. All of these means of education served an important function: They transformed the “dark masses” into enlightened masses; patriots of the new Soviet Republic, who were able to discuss, in a halfway-intelligent fashion, the political needs and interests of their brand-new country. In this way, a new nation was formed from the lowliest members of the former Russian Empire. Continuing to review and work through this post by Dmitry Lyskov, concerning Russian history of 100 years ago. Lyskov has done a good job in countering historical revisionism, often of the hysterical brand, e.g., “Lenin hated Russia and Russians, Lenin wanted to destroy Russia, etc.” People who emote those kind of views frequently equate “Russia” with the ruling Romanov dynasty and lament the untimely end of little Alexei and Olga and Tatiana and Maria, and the others. I am guessing these are the same kind of people who send their small daughters to “Princess School” at Disney World and follow the marriages and spawnings of the ruling English monarchy in the tabloids. Such people are hopeless sycophants to anybody calling him- or herself of “royal blood”, and simply cannot understand the concept of Democracy. Nor the idea that ordinary people can actually be political actors; elect their own government; and even have some say in the decisions made by that government. Through a process of vanity combined with projection, these innate anti-democrats identify their own inner selves with royalty, and somehow believe that they are internally a member of the elite, except that they are not! They are just ordinary hicks. Such people are born to be slaves and servants, and so they shall be. Just probably not to anybody with actual royal blood! Instead, they will serve the needs of corporate bullies. There are, however, some bourgeois democrats of the Westie variety, who believe the Romanov dynasty had it coming, but that the Rusian people should have then thrown their broad-shouldered support to the “democratic” Provisional Government. A government which would then continue the Entente’s war against the enemy of mankind, Germany. This point of view contains a not-so hidden assumption, that the Germans were the bad guys in all of this. I’m not saying the Germans were any great shakes, but look at the alternative, from the point of view of the oppressed colonial serf: Who was the most brutal colonialist beast when it came to Africa? Probably the French and Belgiums, I reckon. Compared to them, the Germans were practically benign. Speaking of the bourgeois democrats, we saw in our previous episode, that the new government which took over in February, did actually experience a burst of anti-war conscience. The Socialists in that government remembered their past pledges, made in 1907 and 1912, to prevent/oppose imperialist wars. Hence, one month later, in March 1917 they issued the very popular manifesto “To the peoples’s of the world”, calling for the proletarians of the world to step up to the plate, and end the slaughter. After the Bolsheviks assumed governmental authority in October/November, they issued the first official governmental decree; as mentioned before, this was the famous “Decree Of Peace”. The Decree was penned mainly by Lenin himself and shows his vigorous and crystal-clear no-B.S. writing style. The Decree was presented to the Second Congress of Soviets of Workers, Soldiers and Peasants Deputies on 26 October (old style dates); was passed by the Congress; and published in Izvestiya the following day. Lyskov debunks the popular notion that this decree ended the war immediately. It wasn’t quite that simple. The first paragraph of the Decree contained a shout-out to all warring sides and their governments to sit down at the bargaining table and hammer out a “just” peace that left all sides intact, with no annexations. All sides (not just the defeated) were to pay into a reparations fund to help rebuild the nations after the war. In essence, this was a call to return to the status-quo, without declarations of victory or defeat. At the same time, the Bolshevik government expressed itself willing to consider any other reasonable propositions on the table; and in the meantime, there should be a ceasefire. No more killing! 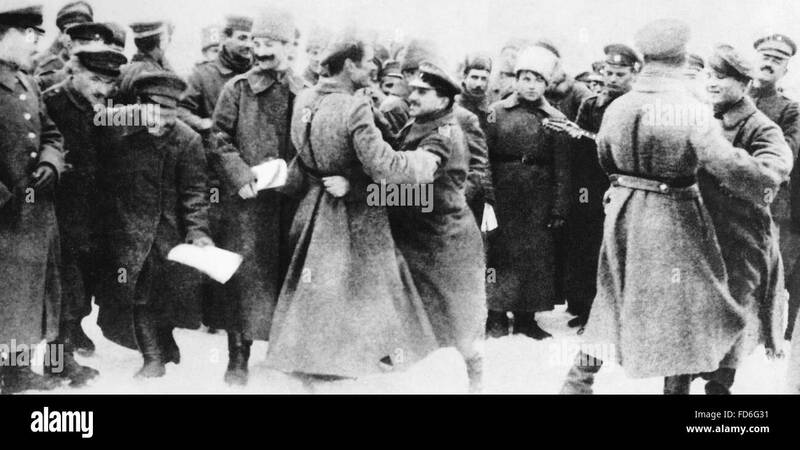 The Bolsheviks encouraged all warring soldiers to put aside their weapons and fraternize with each other. “Fraternization” consisted of singing, dancing, drinking beer, having sleepovers in the trenches, and telling old army jokes. Bolshevik propaganda encouraged Russian and German soldiers to dance the Polka together on the front lines. The Decree was a complex document. In essence it set the tone for Soviet foreign policy, and even post-Soviet foreign policy, for decades to come. In essence, it called for complete transparency in the conduct of foreign relations — i.e., no secret deals. To prove their bona fides in this matter, the Bolsheviks went so far as to publish the secret treaties signed by the Tsarist regime. “The workers and peasants government of Russia appeals, in particular, to the conscious workers of the three most advanced nations of mankind, as well as the 16 most important participating governments in the war.” The appeal to the “conscious workers” [as opposed ot the “unconscious workers”] over the heads of their governments, called upon them to step up to the plate and “assume their responsibilities, such as the liberation of mankind from the horrors of war and its consequences”. It was the duty of these workers to help the new Soviet government bring peace to Europe. Stolen Victory? 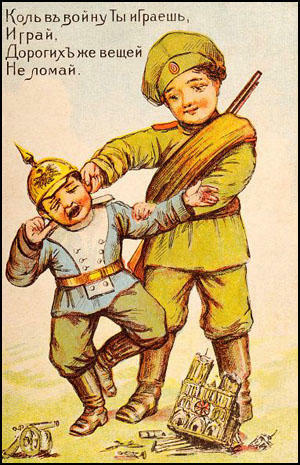 Russian propaganda poster of 1915 shows Russia humiliating Germany. Such phraseology came directly from the Stuttgart and Basel resolutions, proving that all that Socialist Congress verbiage was not just for naught. The Bolshevik assertion that the war was purely imperialist and had no value whatsoever for the toiling masses, achieved a huge resonance in Russian society. 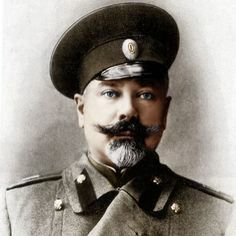 The “dark masses” chided by General Denikin for their “lack of patriotism” were reaffirmed, by the Bolsheviks, that their instincts had been correct all along. This war did not belong to them, nor were they to blame for any defeats! The guilt-tripping of the war-mongers now fell on deaf ears. Next: Lyskov addressed the meme of the “Stolen Victory”… an ever-popular propaganda device of the Russian Nationalists and Great Russian Chauvinists. Continuing to review and work through this post by Dmitry Lyskov. 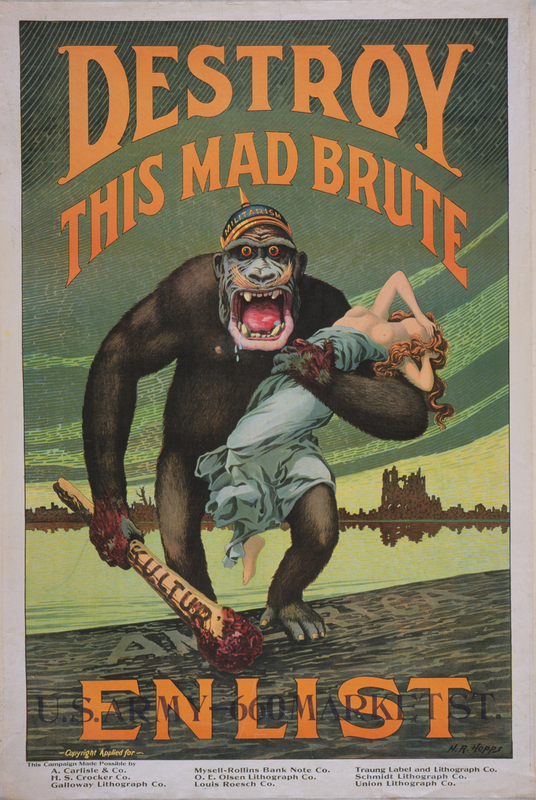 Entente propaganda portrayed the Germans as gorillas. Where we left off in our previous episode, we were attending the Seventh Congress of the Second Socialist International in Stuttgart Germany, where we were having a roaring great time and meeting some very interesting people. This Congress passed many important resolutions, including one that obliged all socialists everywhere to oppose the looming world war (which the Congress accurately foresaw); and — here is the most important point— that if the war should break out despite all our best efforts, then we, socialists, are obliged to take advantage of the situation to do away with the imperialist governments that started it for their own mercenary ends. In other words, the war would put the socialist revolution directly on the agenda in each one of the participating nations. The corollary being so obvious that it hardly needs to be stated: That no socialist should ever ever ever ever give support to his own government in the conduct of such a grotesque and unjust war. Socialists are supposed to be immune from patriotic rah-rah propaganda that conceals an unsavory truth about Big Capital and its colonialist aims. I think the discerning reader already guesses what I am leading up to, namely, the shocking reveal that many, if not most, socialists turned out, in the end, to be not so immune to the war frenzy, once the Big One did actually break out. In the end, it takes more testicular fortitude than people can even imagine, to stand up to the ravings of mass hysteria, once soldiers start shooting and dying, and the government and police assume a self-righteous attitude about “supporting our boys”, etc. We return to Lyskov’s analysis, and his reading of Lenin’s call to turn the imperialist war (when it broke out in 1914) into a “civil war”. By “civil war”, Lenin did not have in mind the actual Russian Civil War (1918-22). In his vocabulary, he meant “civil war” as a synonym for “class war”, aka Revolution. Revolution is an intra-society war of the oppressed and exploited masses against those who oppress and exploit them. It is a war intended to switch the government from one ruling class to a different ruling class. Because the government is a civil institution, hence the phrase civil war. All of this vocabulary is important. Westies, especially, have lived for decades in a state of brain-washing, where the very language itself is used against them, to control their brains and make them see things in a certain way. This especially pertains to ruling class propaganda against actual social revolutions, which are described in terms such as “seizing power” rather than “switching the government”, etc. And the term class war is presented as something particularly bloody and undesirable; which it is, of course, except that the actual ruling class wages class war every minute of every day, just invisibly, most of the time. Only very honest capitalists such as Mr. Warren Buffett even admit that this war is still on-going, when he was quoted as saying, “There has been class warfare for the last 20 years, and my class has won.” Except, just expand that 20 years to, oh, say, 10,000 years or so! Anyhow, leaving that last bit to professional anthropologists, we saw that many international socialists sort of had their fingers crossed when they voted for the anti-war resolutions in Stuttgart and Basel. In the end, they could not find the testicular fortitude to call for the defeat of their own government and ruling class. Lenin had no such qualms. When war broke out, he openly called for the defeat — not of the nation of Russia, but of the Russian monarchy. A fine distinction, of course, since, according to monarchs everywhere, l’état c’est moi, but others might beg to disagree. Lenin was never one to waffle around with words: His definition of the Russian defeat that he desired, was Über-clear: “In Russia, due to its [economic] backwardness, and not having yet completed even the bourgeois revolution, the main tasks remain as before, with three main conditions for a functional democratic transformation: A democratic Republic (with complete rights and self-determination of all nations); the confiscation of landowner plots; and an 8-hour working day.” In other words, according to Lyskov, Lenin was not calling for the military defeat of Russia, there is nothing in there proposing German occupation and administration of the former Empire. Lenin was calling for the fall of the Romanov monarchy and the formation of a Rusisan Democratic Republican government in its place. Quite a distinction! The February Revolution toppled a 300-year-old dynasty. And this is precisely what Lenin had in mind when he called for the “defeat of one’s own government” and “turning the imperialist war into a civil war”. All of which terrible phrases, which have frightened children for decades, conceal a much more benign meaning. Lyskov also remarks, ironically, that nowadays the word “Revolution” sounds benign to most people, but “Civil War” sounds horrible; but a hundred years ago, it was the other way around! When the February (1917) Revolution broke out, the Romanovs left town, and the reins of government passed into the hands mainly of the Mensheviks and Socialist-Revolutionaries. And something clicked in their heads around this time, and these old socialists remembered the resolutions that they had voted for, in Stuttgart and Basel. Hence, in March 1917 they published a manifesto addressed “To The Nations Of The World”. The manifesto called on the proletarians of all nations to shrug off the yoke of the ruling classes, and to work together “to end this awful war, the shame of humanity”. The Manifesto found resonance in Russian society and coincided with the thoughts and desires of the vast majority of the Russian people. Continuing with this post by Dmitry Lyskov, who has been writing great pieces in VZGLIAD about the Russian Revolution(s) and ensuing Civil War. Where we left off yesterday,we saw that ordinary Russian peasants did not always “get” the foreign policy aims or methods of the Romanov dynasty. Nor were they able to grasp the cunning dynastic schemes nor the geo-political brilliance behind all of this Marching and Dying. It’s one thing for a, say, Ivan Susanin to pledge his “Life For the Tsar” when Poles are invading your native village and threatening your children. Quite another to die for the dynastic glory of the English monarchy. So, these peasants didn’t understand why Russia had to go to war against Japan, or why it later had to align with England/France against Germany. But they’re just dumb peasants, after all. What about the noble and intelligent Russian working class? Whether they knew it or not, or liked it or not (! ), the Russian proletariat belonged to an international entity known as the “international proletariat”. Whose political representatives and leaders consisted of the various socialist parties, mainly the parties of the Second International. European socialists, being highly intelligent men and women, could clearly see what was going to happen, years before it did. In 1907, at the Seventh Congress of the Second International, 884 representatives from 25 nations gathered in the beautiful city of Stuttgart, Germany, to write important resolutions, including ones involving women’s suffrage (in favor of), and colonialism (against). The delegates passed a resolution which nobly attempted to prevent the bloodshed of the future imperialist war, which they all foresaw with Nostradamus-like clarity. In other words, the Socialist International would do all in its power to prevent the war; but if and when the war broke out nonetheless, they would at least use it to their advantage, to hasten the socialist revolution. An act of true prophecy: the Oracle of Delphi could not have done a better job! Future Soviet diplomat Maxim Litvinov was one of the delegates! Of the above, a special shout-out should go to Maxim Litvinov. born with the hilarious Jewish name Meir Henoch Wallach-Finkenstein. Of all the delegates, I believe he lived the longest thereafter, dying only in 1951! Litvinov survived not only WWI but WWII as well, not to mention the Stalin purges, and even outlived many of the Western figures involved in both wars, with whom he had dealings, as a Soviet diplomat! Finkelstein was born into a Lithuanian-Jewish banking family in Białystok (now Poland, but in those days part of the Russian Empire). He joined the Russian Social-Democratic Labor Party (SDLP) in 1898. The party was illegal at that time, so it was common for members to adopt aliases, and also might as well Russify their names, while they were at it; hence, Meir Finkelstein became Maxim Litvinov. Litvinov joined the Bolshevic faction of the party as early as 1903. He experienced everything in life that a Bolshevik could, including prison time and exile. Most of his exile involved wasting away in that hell-hole London, where he married Ivy Low, the daughter of a Jewish university professor, Walter Low, who was a close friend of the writer H.G. Wells! During his stint in London, Litvinov at one time (that same year as the Stuttgart Congress, 1907) shared a rented house with Joseph Stalin; and also apparently worked with Stalin as the bag-man on several bank robberies. This tender friendship and camaraderie with Stalin may explain why Litvinov was not purged in the mid-1930’s, like most of the Old Bolsheviks were. (Although he came close, in 1939, as we shall see.) It also proves that Stalin was not the anti-Semite that some people accuse him of, since he did indeed have several close Jewish friends. Litvinov could even be said to have been a member of Stalin’s inner circle. Until he fell out of favor with Tsar Djugashvili. Litvinov is best known in his role as a veteran and highly seasoned Soviet diplomat. Living in London as he did, when the October Revolution broke out, Litvinov was a natural choice to be the Soviet of Peoples Commissars unofficial Ambassador to Great Britain. For many years subsequently, Litvinov represented the Soviet Union in many nations, and at many international conferences. In 1930 he was promoted to People’s Commissar for Foreign Affairs. 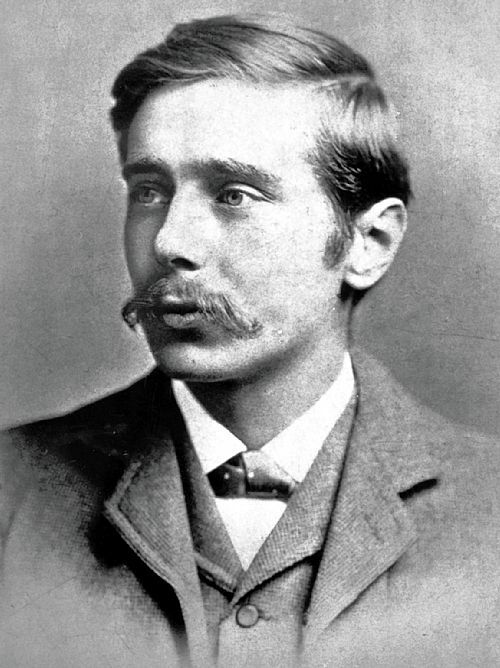 Litvinov was known as a “moderate” in international affairs, pursuing excellent diplomacy even with noted class enemies such as the English and French governments. In the early 1930’s the Soviet Union still preserved (this was to change during the Spanish Civil War) a division of labor between the Comintern (The Communist International, aka The Third International) and the Foreign Office. As the leader of the latter, Litvinov knew his place in the scheme of things, and did a good job, as best he might. 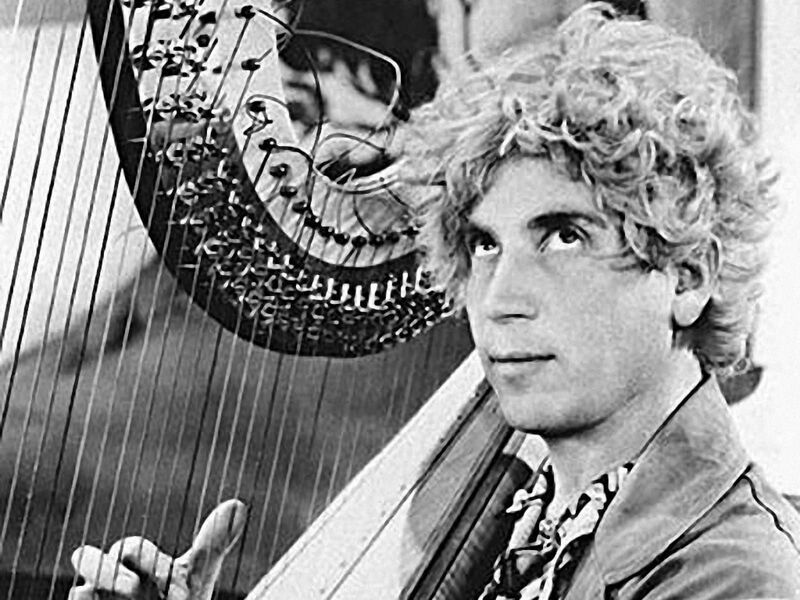 Litvinov performed Marxist vaudeville shtick with fellow Jew, Harpo! In 1933 Litvinov achieved an amazing diplomatic victory: Official recognition by the United States of America! Well, everyone knows that President FDR was a secret commie, as was later proved by Senator Joseph McCarthy! According to wiki: “[President] Franklin D. Roosevelt sent comedian Harpo Marx to the Soviet Union as a good-will ambassador, and Litvinov and Marx became friends and even performed a routine on stage together.” One would give a fortune to see what kind of vaudevillian shtick those two clowns came up with, but, alas, as far as I know, those films or tapes have been lost to posterity! In May 1939 an ever-more paranoid Stalin began to suspect his old bank-robbing buddy of disloyalty. Hitler may have also had something to do with this, as he didn’t like dealing with Jews, yet he craved a temporary pact with the Soviet Union. Hitler could envision a “Molotov-Ribbentrop” deal, but not a “Finkelstein-Ribbentrop” deal. 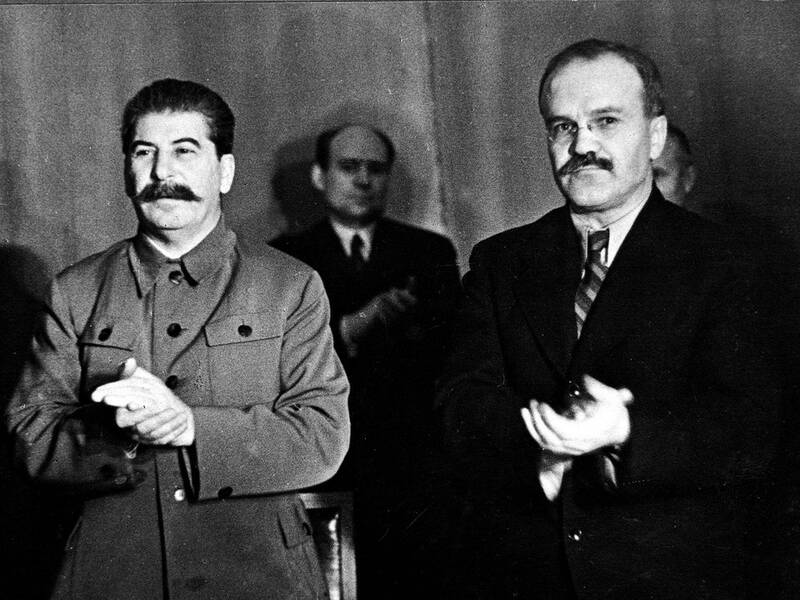 But Litvinov had an enemy closer to hand, and far more dangerous, than Hitler: Vyacheslav Molotov. We all know, and have had the misfortune, to work with these Iagos of the Office Place: Back-stabbers, gossips, ferocious cliquists. Suckers-up to the boss. Otherwise known as “Kiss Up, Kick Down” (KUKD) kind of guys and gals! OFFICE POLITICS, in other words. Molotov (on the right): Office back-stabber and KUKD. So, Litvinov was summarily fired, replaced with Vyacheslav Molotov. To add to his humiliation, NKVD troops surrounded the home of the old revolutionary and cut his telephone lines. Several of Litvinov’s aides were arrested and tortured, apparently in an attempt to get kompromat on their boss. Molotov, an ethnically pure Russian who benefited at Finkelstein’s expense, was said to have expressed horror at the number of Jews he found working in the Foreign Office, and “thank God” they are being purged out! Later, after Litvinov’s death, Molotov was to write, unsympathetically, that Litvinov was “not a bad diplomat — a good one” but also “quite an opportunist” who “greatly sympathized with Trotsky, Zinoviev, and Kamenev.Litvinov remained among the living [in the Great Purge] only by chance,”Molotov declared. As opposed to Molotov himself, who knew how to stab a fellow office worker, twist in the knife, and then climb the corporate ladder on the backs of his victims! 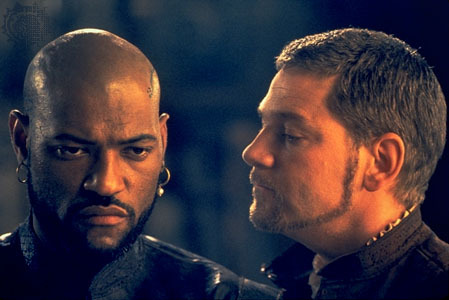 As expertly as any Iago, using the weak point of the boss’s personality to gain some unfair advantage for self. On the bright side, Litvinov survived this horrible ordeal. Although kicked out of the inner circle, he got to stay alive, and even received a new (plum!) job as Ambassador to the United States. If that Ambassador gig hadn’t worked out, he probably could have done Broadway tours with the Marx Brothers. The old diplomat died in 1951, most likely of a heart attack, after a long and productive life. They say that revolutions, like tigers, eat their young; and yet Litvinov was able to travel a long road from that Stuttgart Congress way back in 1907! So, after yesterday’s Intro, let us get started with this post by Dmitry Lyskov, who has been writing great pieces in VZGLIAD about the history of events from 100 years ago. As Lyskov mentioned, the Decree of Peace was the very first act of the new Bolshevik-dominated Soviet government, after they assumed responsibility to administer the former Russian Empire (October/November, 1917). It was an important priority of the Bolsheviks to get Russia out of the war pronto. Lyskov begins with the anti-war attitude of the Russian peasantry, at the start of the 20th century, which was shown in the earlier war (the Russo-Japanese war of 1905), as well as the big war, World War I. He links this earlier piece of his, concerning the failure of the Stolypin agrarian reforms, and the rebellious attitude of the peasantry, who participated massively in the 1905Russian Revolution. The disgruntled Russian peasants apparently did not harbor Rah-Rah “patriotic” feelings about the war against Japan. The Romanovs may or may not have had valid geo-political concerns, but the bottom line is, they were unable to sell this war to the masses. And that was just a regional war. When World War I rolled around, it was way bigger, the defeat was bigger, and the Russian peasantry were even less thrilled with the conflict. Ordinary Russian peasants simply did not understand why they had to sit in trenches and get killed by incoming artillery strikes. Today I start a new series, based on this post by our old friend Dmitry Lyskov from VZGLIAD. Lyskov has written a stunning series of historical posts about the events of 100 years ago. In which he subtly refutes those who have sought to distort this history. I just barely finished (a few days ago) reviewing his piece on the Ukrainian Revolution of 1917. Today’s piece is about the Bolshevik Decree of Peace, which was issued after the October/November Revolution of 1917. The Decree was the first official act issued by the new Soviet government. Russia entered the war with only the noblest of intentions …. ! It was always fashionable among the elites of Russia’s former “allies”, especially England and France, to call this decree a “treacherous” or “treasonous” act. As if Russia owed so much to England and France, how dare the barbarians pull out of the war and leave their dear civilized friends hanging in the wind? Nowadays, sadly, you will also find many “Great Russian chauvinists” among the Russians themselves, and even in the pro-Russian blogosphere, who lament the Bolshevik “treachery” against their erswhile allies. Anyhow, what would have been so horrible about a German victory? My own What-If machine, which is of German make and very finely calibrated, like all German technology, tells me that a German victory in WWI would have prevented a later Hitler! 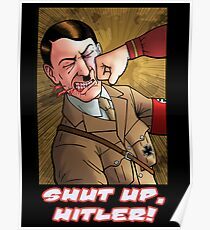 In which case, there would be no need for me to build this new time machine, go back in time, and kill Hiter, because Hitler would have just remained an obscure and harmless house painter. See, two can play this game of Teleological Chess! But back to Comrade Lyskov… Who asks the pertinent question: What was so important about the Decree of Peace that the Bolsheviks chose this as the very first decree of the new government they led? Lyskov lists the various theories surrounding this act: A humanitarian diplomatic initiative intended to end the international slaughter. Fulfillment of an obligation made previously to the German General Staff. A deliberate betrayal of the Entente allies. The first step to a “Separate Peace” as later came to pass in Brest-Litovsk. The reality, Lyskov says, is much more complicated than each and all of these various theories combined.